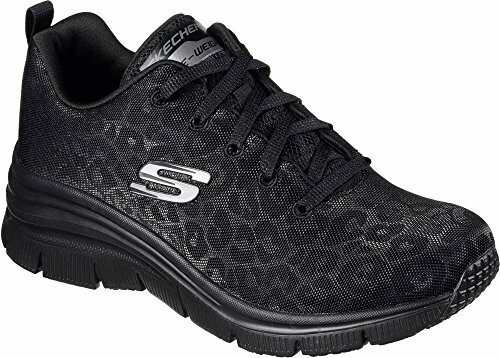 S·l·o·w down a fast-paced week with the easy, breezy vibes of the SKECHERS® Fashion Fit shoe. Soft knit fabric upper with textile trim. Lace-up closure. Plush tongue and collar. Air Cooled Memory Foam insole offers light underfoot cushioning. Lightweight Flex Elite midsole absorbs impacting shock. Flexible rubber outsole. Imported. Measurements: Weight: 8 oz Product measurements were taken using size 8.5, width B - Medium. Please note that measurements may vary by size. S·l·o·w down a fast-paced week with the easy, breezy vibes of the SKECHERS® Fashion Fit shoe. Soft knit fabric upper with textile trim. Air Cooled Memory Foam insole offers light underfoot cushioning. Lightweight Flex Elite midsole absorbs impacting shock. Flexible rubber outsole. Imported. Measurements: Weight: 8 oz Product measurements were taken using size 8.5, width B - Medium. Please note that measurements may vary by size.